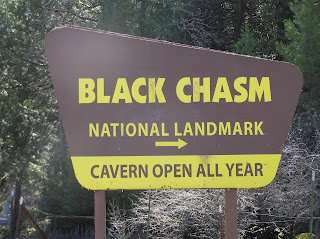 In 1876, the national Park Service designated Black Chasm Cavern as a National Natural Landmark. Since then it has been delighting nature enthusiasts and curious children from all over the country with stalactites, stalagmites, flowstones and the vast arrays of rare helictite crystals. Above ground, you can also try mining for gems! Everyone is guaranteed to find something special. Black Chasm Cavern was the inspiration behind the Zion cave in the second and third installment of the Matrix movies. Black Chasm Cavern is open every day of the year. The only way you can go inside the cave is on a walking tour. Tours are 50 minutes and take you to see all the beautiful formations. Prices for the tour are $14.25 for adults and $7.15 for a child (ages 3 – 12). 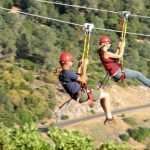 The address is 15701 Pioneer Volcano Road, Volcano, CA 95689, USA. Directions from the Bay Area: Take Highway 580 east to Highway 205 to Highway 120 east to Highway 99 north. Follow Highway 99 north to Stockton, then take Highway 88 east to Jackson. Turn left at the lights to continue on Highway 88 east to Pine Grove. Make a left turn toward Volcano on Pine Grove-Volcano Road and continue two and a half miles to the bottom of the steep hill. Make a sharp right turn onto Pioneer-Volcano Road and continue about 1500 feet. Turn right at the Black Chasm National Natural Landmark entrance. 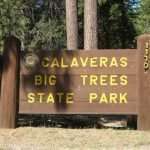 To get directions from other parts of the state, visit their website at http://caverntours.com/blackdir.htm. Black Chasm Cavern is about 2 hours from the bay area and about an hour from Sacramento. 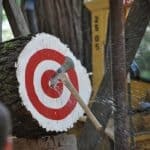 Their website is http://caverntours.com/ for any other information you might need. 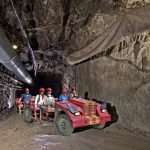 Their email is caverns@caverntours.com. Do you need a gift for someone who loves the outdoors and exploring interesting natural landmarks? Black Chasm Cavern offers gift certificates. For more information, call them at 1-866-762-2837. Thank you for mentioning Black Chasm here. We love all the PR we can get. If you don’t mind, I would like to make two small corrections to the above text. We are in Amador County, about 20 minutes east of Jackson (the posted directions are perfect…Thank you so much.) The second is very minor, in that we became a National Natural Landmark in 1976, but what’s a hundred years, give or take?